With the Final now in clear sight, Love Island is sadly coming to an end! – Waaah! Although we are super excited for the final, (routing for #Jani), we’re obvs feeling pretty emotional that we’ll no longer be able to watch all the drama and Island life...but all good things come to an end right? Starting us off has 100% got to be... Jack with his Islanders' impressions! Not only did he have us in stitches with his spot on impressions, but it really showed his off his cheeky side which obvs made us adore him even more (if that was even possible!). Like his fellow Islanders, we can’t get enough of his humour and cannot wait to see him in the final with Dani! Speaking of impressions, how could we ignore Wes’s impression of vibe loving Eyal! Whilst Eyal was feeding Megan grapes on their date (cringe), the fellow Islanders were chilling by the pool whilst Wes enjoyed a gentle poke at Eyals’s feeling towards the grapes! LOL.... let's face it gals, those grapes had more feelings for Eyal than Megan did. An absolute FAVE Love Island moment of ours, we can’t help but have a soft spot for Wes. The youngest in the villa and yes probably the most LOYAL, we can’t help but just adore Georgia! Not only is she absolutely gorgeous but she’s made us laugh since the moment she entered the villa. SO, with that in mind, how could we not mention that particular episode when she was pranking her fellow Islanders – totally our kinda gal. Like the rest of the nation, we we're totally heartbroken when we heard Niall had left the villa! Not only was he totally our type on paper, but his warm and friendly nature had us routing for him from that start. But, with Niall's swift exit from the villa, we were left with the most fabulous memory of him referring to himself as a rainbow fish. By far one of the cringiest, most hilarious moments in Love Island history, has got to be Alex and his smoulder! We absolutely adore Alex with his gentle charm and awkward manner but we just couldn't help cringing when he was informing Grace of his new found flirting techniques. We just hope Alexandra finds the smoulder more impressive than Grace did. She's made it into our list for the second time - go Georgia! Now you may know Georgia as a Love Island contestant, but we just know her to be LOYAL. 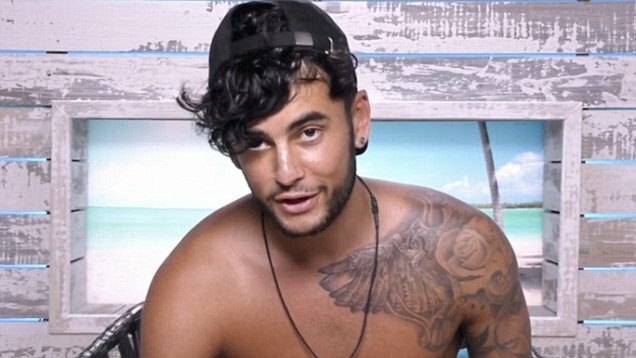 We love you G, but you sound like a broken record and yet, we never get bored of hearing it - we get it, your loyal babe...An absolute standing joke in the villa and to viewers, Georgia and her morals have been the heart of hundreds of memes across the nation and we just love watching the Islanders reactions when she says that infamous word! One of our FAVE moments EVER of this season was when Jack asked Dani to be his girlfriend! If this episode didn't have you welling up and feeling all gooey inside, where's your love spirit?! Starting off abit rocky, we've always loved this gorgeous pair. They have totally captured the heart of the nation and we cannot wait to see them WIN! Now she wasn't in the villa for long, but Hayley sure left her mark with her confusion over Brexit. Yes she may have left many viewers scratching their head with her comment, 'does that mean we won't have any trees', but it just made us love her all the more! She may have broken Charlie's heart, but we loved Hayley and her cute and ditsy personality. Just as we thought we couldn't love Jack anymore than we all ready did, he goes and snacks whilst he's cooking - YAS Jack! But, we think this was possibly the most relatable thing that has happened in that villa, we're all about snacking as we cook and we 100% praise Jack for doing so! This episode had us crying with laughter when the boys we're only alone for 10 minutes before they starting acting in Yorkshire accents! So so funny, it made the nation simply adore the boys and it really showed off their bromance.